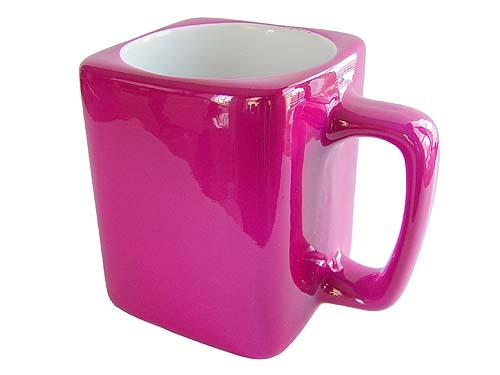 Start your new day with a fresh cup of coffee in your favorite pink coffee cup! These 8 oz. coffee mugs are a distinctive shape - the proverbial square peg and round hole?